All clients will have access to top professional grooms and management. We strive to provide the best service for each individual customer. While for some that might mean mounting block service, others might prefer to spend time with their equine partner on the ground. Full service board includes: Daily turnout, grooming, tacking, mucking, hay, water, and feed. Lessons and professional rides are added a la carte. 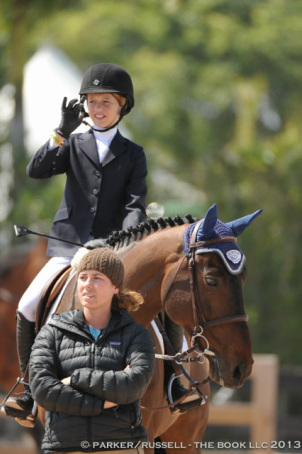 NOTE: All juniors riders will be educated on proper horsemanship from day one. They will have access to our in house staff to learn how to clean, tack up, and care for their horses and as well as maintain their equipment. Once these skills have been solidified, we encourage all junior riders to spend as much time as they can with their mounts on the ground. An educated horseman will always come out on top! Full training board is full service board, with all of your at home training costs (lessons and professional rides) included. Let us tailor you and your horses training program to meet your goals. Limelight Farm travels to shows throughout the East Coast including but not limited to: the Winter Equestrian Festival, Devon, Vermont, Capital Challenge, Washington International, Old Salem and more. We also incorporate 10 to 20 "one day" shows in the Fairfield-Westchester area throughout the year. These shows are a great introduction to the horse show world and provide a measure for goal setting and achievement at many levels. Please email us to find out more!